After seeing me play PCSX2 on my lame 1.4GHz i3 (2nd gen) setup, my little bro decided to try it on his comp. His comp has a 2.3GHz i5 (1st gen) CPU and an nVidia GT 520M, but PCSX2 defaults to the i5 integrated graphics. It should probably work (haven't tested yet - we're off to dinner) but we would rather use the nVidia GPU. How can I force PCSX2 to use it instead of the integrated graphics? (04-24-2012, 03:06 PM)GrygrFlzr Wrote: After seeing me play PCSX2 on my lame 1.4GHz i3 (2nd gen) setup, my little bro decided to try it on his comp. I'm getting "You are not using a display currently connected to nVidia" (or something like that) when I try accessing the nVidia control panel. (04-24-2012, 03:46 PM)GrygrFlzr Wrote: I'm getting "You are not using a display currently connected to nVidia" (or something like that) when I try accessing the nVidia control panel. hes probably running the ***** that the OEM preinstalled. Getting 'NVidia Installer Failed'... Neither PhysX or Graphics Driver installed. Or is that the wrong driver? 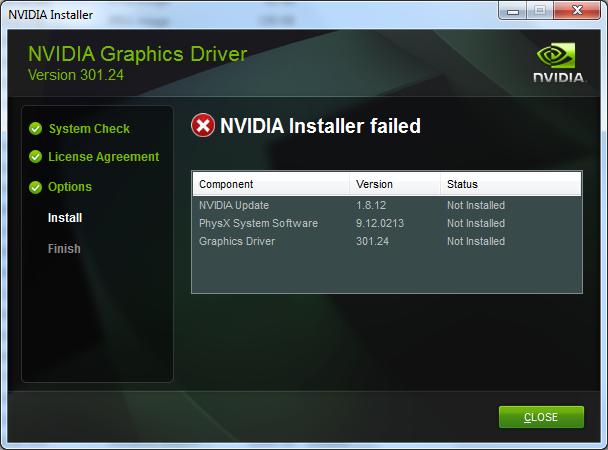 (04-25-2012, 04:24 PM)GrygrFlzr Wrote: Getting 'NVidia Installer Failed'... Neither PhysX or Graphics Driver installed. Pretty much the same result as the other one. i think you need to update the Intel display Driver 1st. Ouch. Where might I find one for that? I tried searching the Intel Driver page but came up with no results. It's an i5 2410M, in case you're wondering. The integrated graphics are working pretty well, no lags or anything so far, but I think we can push it even further (resolution?) using the nVidia card.